It starts with the recognition that not everyone who owns a business is a business expert. Most small and medium sized business owners are experts in doing what the business does. Whether it’s a flower shop, an auto repair shop, a niche retail store or a medical office these operations need vocational and professional experts who aren’t natural born business people. What is a business person? Part entrepreneur, part administrator, part paper-pusher, part street lawyer, and part hustler – a business owner has to master a myriad of skill sets in order to ensure the survival and prosperity of their personal passion. Trade schools, professional development programs and university degrees don’t teach these classes. It can be confusing and overwhelming. 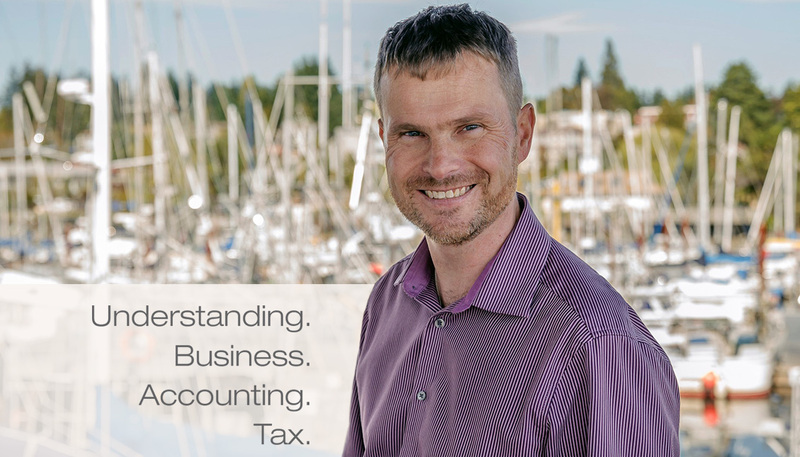 As a Chartered Accountant in the Comox Valley, I spent over 11 years as the Controller and Chief Financial Officer for a small company that grew into a pretty big company. It was full of experts – tradespeople who were outstanding in their areas of expertise, but they’re not businesspeople. I joked with my family that my job was often defined as anything someone didn’t know how to deal with. It was always signaled with the words “I don’t know – ask Jerad.” Over time it occurred to me that I was the business person in a great company full of technical experts and that was my niche – to take care of the business and let them take care of performing the services that the customers needed and that earned the company its revenue. Managing the ‘business’ end of your business isn’t profitable – it won’t increase sales, create new customers or make production more efficient. But it is very necessary and small business owners ignore it at their peril. I can teach you essential skills, I can mentor you and bring you to a place where you are comfortable managing the whole show on your own, or I can step in on a contract basis and look after the business end and let you grow the business you love.